Postcards can be effective advertising tools for a small business. Because it can be distributed quite easily, it can result in higher customer exposure for your business. Being able to create and utilize a proper advertising strategy using postcards may lead to an increase in sales. But before you go print postcards for your marketing campaign, you have to consider a few things first — like the postcard's design and purpose. Knowing what to do with your postcards can allow you to plan and adjust your marketing strategy. You can use postcards in different ways to promote your business. One can find so many uses for business postcards. Below are some of them. Postcards can be effective tools for your marketing research. By using postcards, you can send surveys to measure customer satisfaction and gather information that can be crucial for the future of your business. Postcards can also be used by your customers to send feedback and general comments regarding your service, this way your customers can feel more connected to your business. Postcards can be utilized to have a special, one-time offer for your customers or a percentage off on their next purchase. Aside from providing special offers such as buy-one-get-one-free promos and discounts, postcards can also be used as an invitation to exclusive pre-sale of your products. This strategy can strengthen your relationship and make your customers feel special. 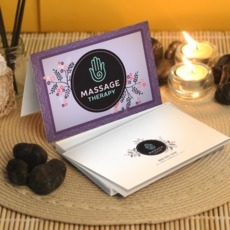 Having simple and helpful information in your postcards may cause your customers to keep and place it on a place wherein they can easily access it. The information or tips you place on your postcard may vary, but it's best that these tips should be related to your business. Having your postcard kept by the customer can serve as an advertisement for your product or service. By the time your customer needs something related to your tip or information, they will probably contact you. These are just the common ways of using a postcard for advertising and promotion. Remember to use the information you get from customers and create new marketing ideas out of them. But if ever you come up with something creative and you think it could work for your business, why not give it a try? Once you've come with a marketing plan involving postcards, give UPrinting a call and we'll handle your printing needs. We provide high-quality services at affordable prices. You may call us at 1-888-888-4211 for more information.